Please contact our staff to set up a consultation with one of our specialized physicians. Send a message to one our sleep specialists today for a private consultation. Let us help you get back the sleep you deserve. 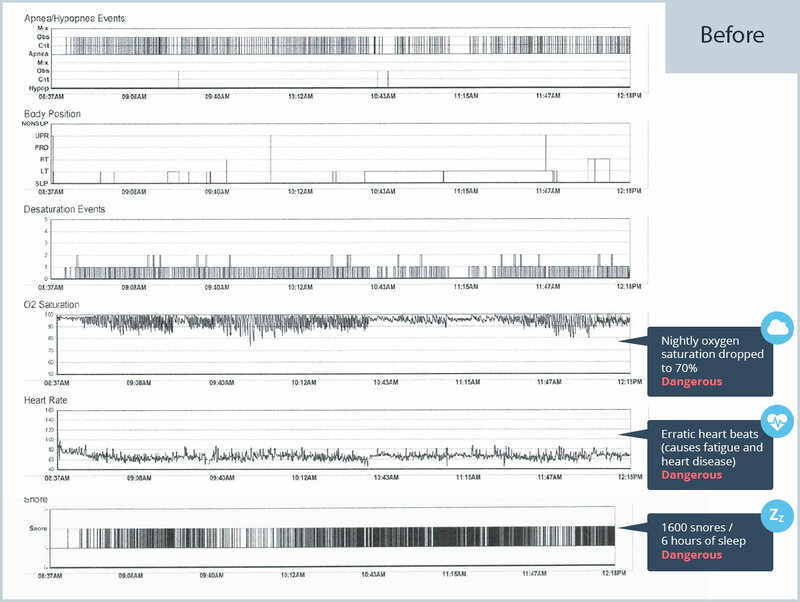 Receive our in-home sleep analysis testing machine at your home. Sleep with the small hasslefree machine for one night in your own bed. The machine will be picked up from your home the next day and analyzed and interpreted by our board-certified sleep specialist physician. Our primary care physician and sleep medicine physician will recommend the best and least invasive treatment option tailor-made to your sleep study results. Depending on treatment recommendations and your choice of treatment options, the next step would be for our dentist or sleep therapist to meet with you in person to custom make an appropriate treatment device for you. Delightful Sweet Sleep Centers – is a multispecialty sleep improvement center that has helped employees improve their quality of work/performance with appropriate diagnosis, treatment and optimization of sleep. As a result of our proven interventions, many have experienced improved mental and physical health, as well as quality of life. We have been successful in working with your healthcare PPO insurance to cover your diagnostic tests and treatments with little or no out-of-pocket costs. Below is a list of frequently asked questions. If you are unable to find the answer you're looking for, please contact us. Does my insurance cover the testing? Yes. We accept almost all PPO insurance plans. As a courtesy we call your insurance company in advance to confirm coverage before we do the testing. 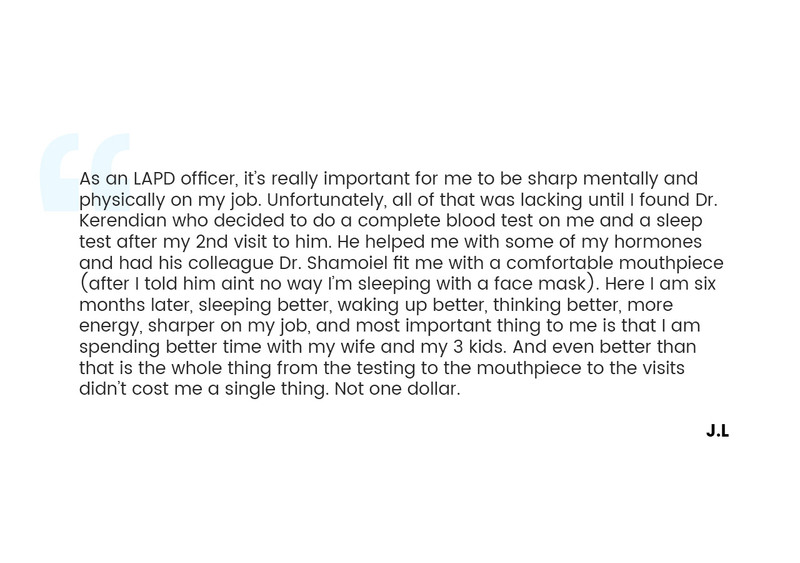 We have been 98% successful with having insurance companies pay for the sleep test at a satisfactory price point to avoid collection of co-pays or coinsurance from our patients. How many nights of testing do I have to do? ONLY ONE NIGHT. 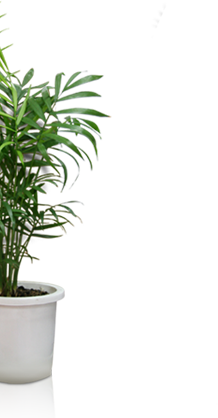 The testing technology that we use is advanced enough to not require multiple nights of testing. Only one night of testing is required. If you get six hours of sleep, it would be adequate for a full evaluation of your sleep. Do I have to go anywhere to have the testing done? No. With our advanced sleep monitoring device, a complete evaluation of your sleep can be performed in the comfort of your own bed. The device is delivered to you and you can self-administer the test at your convenience. One night only. Unlike other sleep test devices, our unit is technologically advanced enough to be able to measure and interpret all the information we need to know in a short period of time. Therefore, we do not need to do multiple nights of testing. ONE NIGHT IS PERFECT. Do I have to wear a CPAP mask? No. 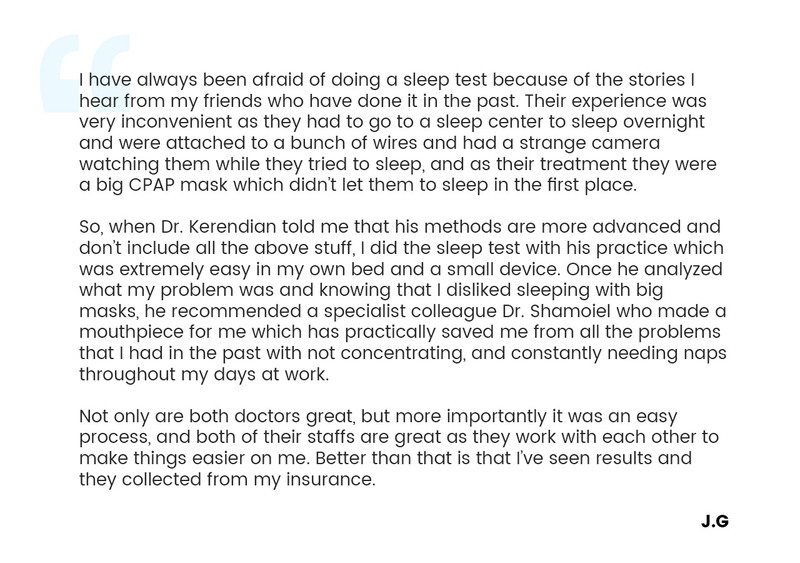 A CPAP mask is not a diagnostic test. It is a treatment for a minority of patients diagnosed with sleep apnea. Furthermore, it is not the only treatment option. First, we must evaluate your sleep with our one night home analysis sleep test; from there, we can plan the most appropriate treatment options customized for your needs—whether it is a CPAP, mouth-guard or other options. How does the machine test my sleep? The in-home sleep test device that we utilize was developed with state-of-the-art technology and was designed to be as compact and as comfortable as possible. The device itself is the size of a deck of cards, which is secured to your abdomen with an elastic belt. A very soft tube nasal cannula measures your breathing and oxygen saturation. A soft finger probe also measures your oxygen saturation along with your heart rate and rhythm. All other parameters that are needed for diagnosis are evaluated by the above probes, sending information to the small digital device. Once you have slept with the device for six hours you will send it to our center, where our computer software program along with our specialized physicians will evaluate the data and interpret the results. Does the testing require a bunch of wires to my body? NO. Unlike this scary and conventional method of performing a sleep study, our in-home mobile sleep device DOES NOT require you to wear any probes on your head, chest, or any other body parts. There are only two things that you need to attach to your body. One is a soft finger probe which goes on one of your fingers and a soft flexible nasal cannula which goes around your nose. How long will it take before I get my results? 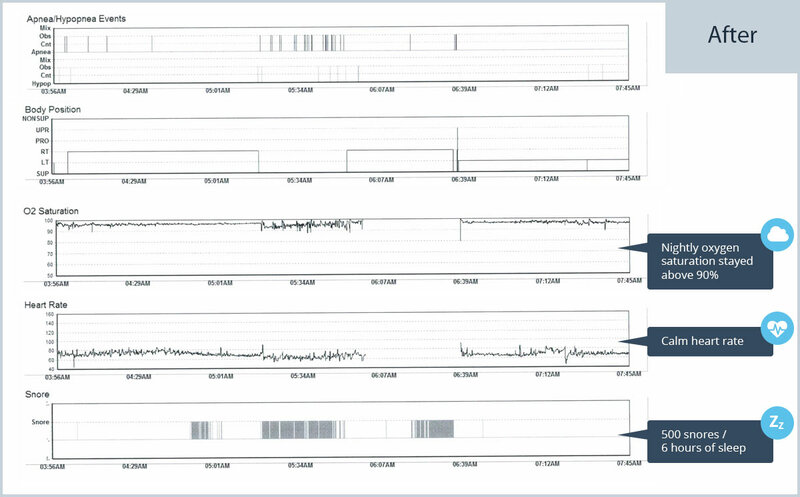 Once the device is returned to our office, it will take 24 to 48 hours for us to have a fully detailed report of all your data along with the specialized sleep physician interpretation and diagnosis. How often should I do a sleep test? EVERYBODY who has more than one symptom associated with sleep issues should do a baseline sleep test. If you have a SLEEP APNEA DIAGNOSIS already, then you should monitor by an annual sleep test fullow-up. If you have started with a dental appliance for sleep apnea. Then you should check every 3 to 6 months for adjustments and modifications to your dental appliance for effective treatment. If you have a CPAP machine. Then you should be checking your sleep test every 6 to 12 months.  How do I return the device to your office? Two options are available: 1) We will arrange everything for FedEx to pick up the device from your work or home –Prepaid by our office or 2) we will arrange for a staff member to pick up the device from your designated meeting spot. Does it really measure if I have sleep apnea? The combination of what our in-home sleep study device measures and what our advanced software analyzes in combination with what our sleep specialist physicians interpret and diagnose, will not only diagnose sleep apnea, but it can determine the reason behind why you may not be sleeping well enough or why you may be tired throughout the day. 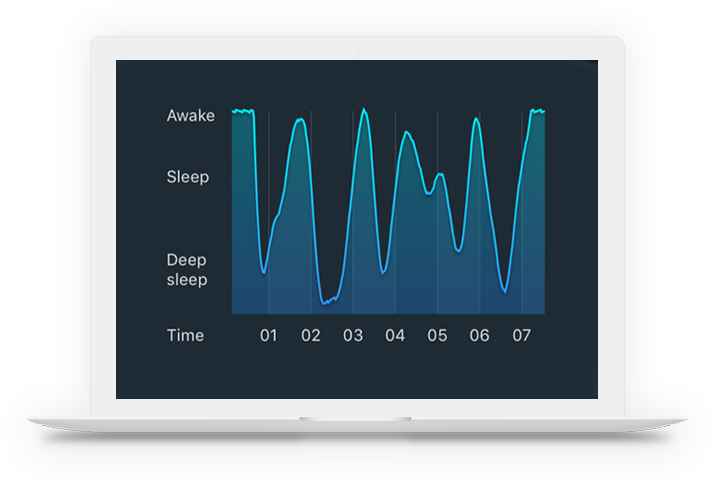 Once the sleep test device collects the data from your one night of sleep, the results go through a very sophisticated software system to provide detailed calculations which are interpreted by a board-certified sleep medicine physician and an Academy of Sleep Medicine physician. Can I do a sleep test if I am already wearing a mouth-guard for sleep apnea? Absolutely. In fact, we recommend repeating your sleep test when you are wearing your mouth guard to compare and adjust for better results. Don't just take our word for it. 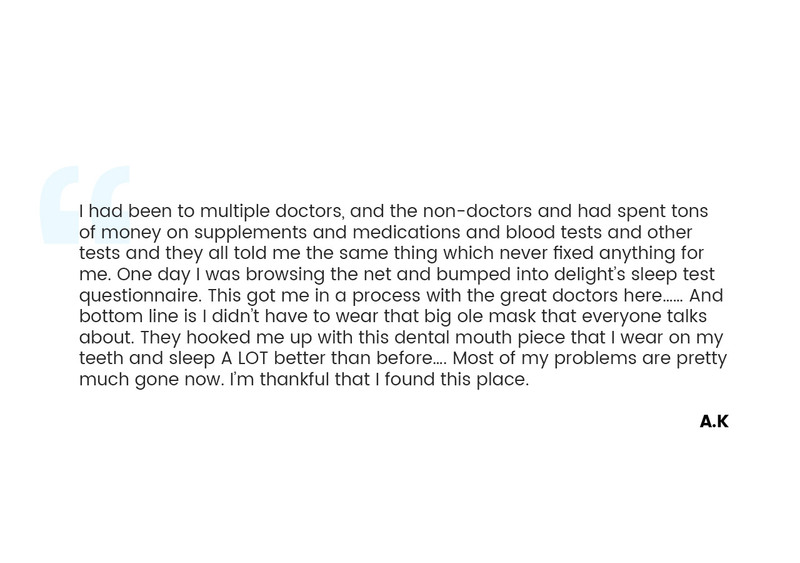 See what our patient's are saying.